Update 2018: The SB-900 AF Speedlight was first released in 2008 and has since been discontinued. It is still available on the used market and is a great flash unit. The SB-5000 AF replaced this model. 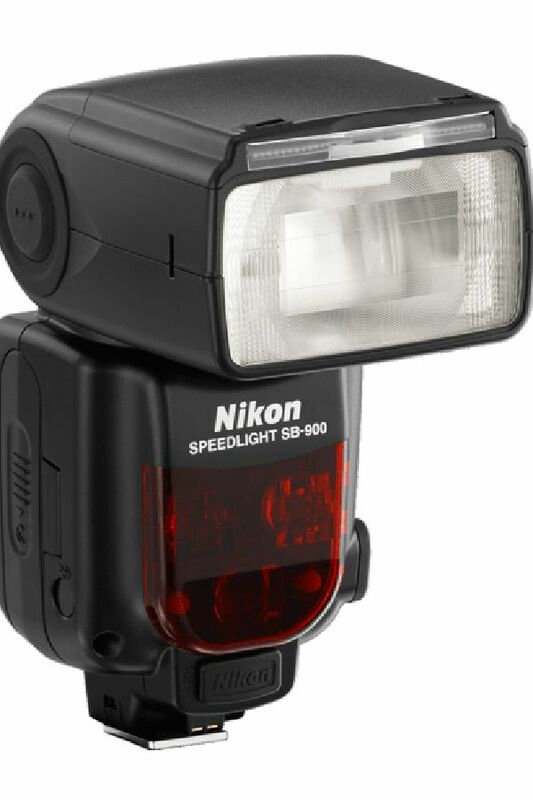 The SB-900 series is at the top of Nikon's flashgun range and includes some extremely powerful speedlights. This series is certainly filled with plenty of bells and whistles, but is it worth paying extra to buy this flash over the cheaper SB-700? This was Nikon's flagship flashgun, and it has tons of features, however, it is absolutely huge and will take up a lot of room in your camera bag! You should also be aware that it will only work to full capacity with more recent Nikon DSLRs (D7100, D810, D600, D7000, D90, D60--see Nikon's website for the complete list). Older camera models (such as the D100, D1, D1X, and D1H) will be limited to manual use. The Nikon SB-900 retains the useful controls for accessing exposure compensation, and the battery compartment is well made and solid, with clear instructions on how to insert the batteries. However, the LCD screen is dull, and some numbers can be hard to read as they are quite small. There is no battery meter, so batteries can die without warning. But recycling time is fast and definitely much faster than Nikon's cheaper flashguns. The SB-900 covers a remarkable range of 17-200mm, down to 14mm with the wide-angle diffuser. It should be noted that at 200mm, the SB-900 only gives a 1/3 stop advantage over the 85mm setting of Nikon's old SB-600. So, the great range won't give you a massive amount of extra light and coverage. Like its Canon counterpart, the 580EX II, the SB-900's head gives complete 360-degree tilt and swivel coverage, which should leave you with little uncovered. What is the Guide Number? We've talked about how the SB-900 has a guide number of 48m (157.5 feet). But how does this translate in practical terms? Therefore, if we are shooting at f/8, our subjects should not be further than 19.68 feet away from the flash. This is a big distance and should cover most eventualities! However, it is 4 feet less than Canon's 580EX II will cover. The SB-900 features Nikon's I-TTL flash exposure metering mode which is the automatic mode. It is excellent, as long as you are using a compatible camera. The flashgun can also detect if you are using an FX (full frame) or DX (crop frame) camera. There is also auto aperture, manual, distance-priority manual, repeating flash, and non-TTL auto modes. The distance-priority manual mode is pretty clever, as you set the aperture and distance of the subject, and the flashgun will work out how much power to use. The manual flash mode can be controlled in 1/3 increments from f/1.4 to f/90, but it's a shame that it can't go down to f1.2. The SB-900 also comes with two useful filters, one for tungsten lighting and one for fluorescent. These work really well and they help produce correctly lit images (with information transmitted to the camera's white balance settings). The flash can also automatically detect which filter is in place. The SB-900 offers three different illumination patterns: standard, even, and center-weighted. Essentially, these try to alter the drop-off points of the flash. 'Even' spreads the drop-off areas marginally wider than the standard pattern, while 'center-weighted' concentrates the flash into the center of the image. We're not entirely convinced that they make a huge amount of difference, but there are some subtle alterations to be had. The Nikon SB-900 works as either a master or a slave unit, and it works with wireless transmitters. Using the flash off-camera will help to soften the harsh lighting and prevent your pictures from looking flat. The SB-900 is an impressive flashgun, and its accessories (in the shape of the filter kit and a Sto-fen-type diffuser) are much better than those of its rivals. However, unless you shoot a lot of weddings or events, we cannot see it being a necessary purchase in comparison to the cheaper SB-700, or even the older SB-600. It is a brilliant flashgun (other than a few slight drawbacks), but it is expensive and heavy. If you need the extra range and features provided by it, though, we would recommend it without hesitation. How Do I Use a Gel Filter?